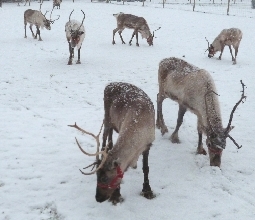 ...and we get to enjoy working with them all year round here at our stunning Reindeer farm. 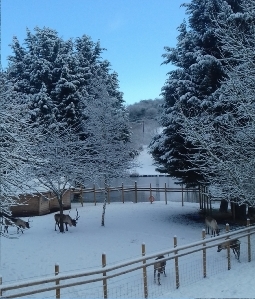 Set in almost 50-acres of stunning Welsh border countryside complete with hills, lakes, fresh water streams, woodland and grazing paddocks, our farm offers the perfect home environment for our adorable reindeer herd. 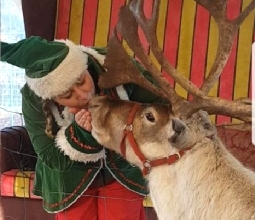 Our reindeer herd are all very tame and love meeting new friends, winning the hearts of children and adults alike where ever they go. 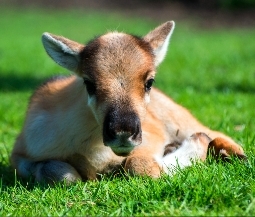 We provide all relevant animal movement forms, animal display licenses and public liability insure for the reindeer at your event. Our little patch of reindeer heaven is nestled just off the main arterial roads of North Wales (A55 and A483) with a short drive to the North West's major motorway networks, towns and cities, with Reindeer hire in Chester, Mold and Wrexham all within a 15 mile drive, Liverpool and Warrington within just 30 miles and Manchester city centre, Telford and Stoke-on-Trent just 50 miles away. 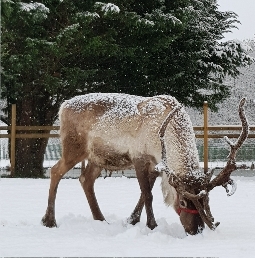 We can offer reindeer displays for hire throughout the North West, North Wales and the Midlands, or further afield. Just give our friendly reindeer hire team a call and we'll be happy to help. Black Meadows Farm, Leeswood, Mold, CH7 4SQ.